The shortest month of the year will zip by not only b/c it is a couple of days shorter than our other months, but because all of the planets are now in direct motion putting a strong wind to our backs hurrying us along our respective paths of life. Imbloc also known as Candlemas and has morphed into ground hogs day was originally a Celtic festival usually celebrated on or around February 2. It is a cross quarter day which marks the halfway point between the winter solstice and the spring equinox. Astrologically speaking the cross quarter day is when the sun is at 15 degrees of Aquarius (exactly the midway point between 0 Capricorn and 0 Aries). This year we have a treat as the new moon is at 15 degrees of Aquarius which makes this time very potent to set forth your intentions. To make this time even more powerful the new moon is also at the midpoint between Saturn at 15 Capricorn and Neptune at 15 degrees Pisces. This means four of the 10 traditional planets are resonating together. As we spiral to new heights of awareness each new moon brings a special gift we can use to help us evolve faster. This new moon in the intellectual air sign connected to Saturn and Neptune helps us bring into our world insight and knowledge that is metaphysical and practical. If you feel caught between the demands of your job and bills and your desire to walk the path of the artist or mystic you are feeling the vibe of the planets. The key that brings the aha moment of what to do will come from quieting the mind to receive inspiration from cosmic wisdom. It may come to you through dreams, or at the oddest moments when you least expect it. Saturn is conjunct the fixed star Vega, the 5th brightest star in our sky. This star enables one to bring order and peace when embroiled in chaotic or turbulent circumstances. This is especially helpful in bringing success to pursuits that require imagination and creativity. Venus moves into Capricorn on the 3rd and spends the month in the territory of Capricorn that is sensitive to time, boundaries, and respect. Honoring others through respecting their personal needs and time will be deeply appreciated. Venus will be at the midpoint between Jupiter in Sagittarius and Saturn in Capricorn at the new moon. She is the go between for negotiating freedom, travel, and strong opinions with time tested and accepted expectations. If what you want seems unattainable Venus in Capricorn will be busy biding her time as she figures out the plan of action. 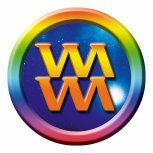 The wisdom you will be tapping into during this cycle of the new moon will bring you a glimpse of what the future will hold in 2021 and beyond. We are at the end of a 200 year cycle that has been earth oriented, which has seen us through the industrial age, the age of building and manufacturing and about to enter a 200 year cycle in Air, intellect and wisdom. This long cycle (Jupiter Saturn conjunctions in air) has not happened since the 13th century. The Jupiter Saturn conjunctions in air will continue every 20 years until 2219! This will be a major shift with humankind towards a more inclusive world that values knowledge. Mercury enters Pisces on the 10th of February bring creative flow to our thinking processes followed by Mars in Taurus 4 days later on Valentine’s day. Mars will be in Taurus for 6 weeks bringing the tenacity to work on projects until they are completed. The sun enters Pisces on the 18th (at 6:04 pm EST) of February with the full moon in Virgo the next day on the 19th @ 10:54 am EST. The Virgo full moon expresses the deep longing for a purposeful life well lived. There is a pull to seek meaning in the work one does, or the time one has on the planet that will make a difference. What is special about the full moon this year is Venus, the natural seeker of pleasure and happiness, is caught between Saturn and Pluto. Venus in Capricorn traveling from Saturn, being serious about what one wants, moving towards Pluto, who always demands some type of transformation is suggesting that much of what was important to us in the past may no longer bring the same satisfaction and we will be embracing something that will hold more meaning in our lives. Mercury is with Neptune this full moon, a time when connecting with cosmic wisdom is greater. Music, meditation, and general alpha state day dreaming brings deep intuitive knowledge to the conscious mind. Chiron enters Aries on the 18th and will remain in Aries for the rest of the year. You may begin to feel impatient with getting over difficulties from the past. As if there is a voice within that screams, enough already, let it go. The upside is moving beyond people and situations that no longer serve you or are harmful to your emotional well-being. The downside is friends not being quite as sympathetic to your laments about being mistreated in professional or romantic relationship, echoing the get over it vibe and move on with your life. 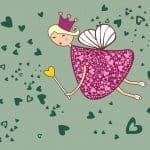 The positive vibes of February move us into March with greater clarity about who we are, what we want, and how to get there. The month begins on the heels of the lunar eclipse January 31st in Leo, we will be in the eclipse season. Eclipses often bring major or sudden changes, a wake up and pay attention call. Life can bring significant change during eclipse times. February has potential for shifts in relationships and work. 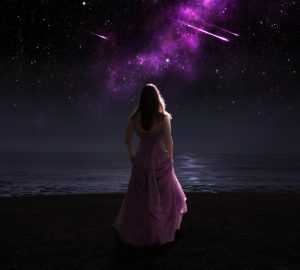 Brilliant new opportunities will abound and the stars are right for saying yes to any options that feel right. Some potentials might bring doubt or confusion at the same time as major impetus to move forward with the new path even though uncertainty is present. Look for opportunities in the Aquarius world, including things involving: friends, social media explosions, getting together with coworkers, parties from events, participating in groups or on teams; involvement with humanitarian efforts; internet-based business beginnings or expansion; technology or futuristic ideas or plans; friendship versus lover dilemmas, and lots of networking. The extra emphasis on these areas of life is not only coming from the New Moon/Partial Solar Eclipse but also from many of the personal planets moving through the sign of Aquarius this month. The highlight of the month is the New Moon Partial Solar Eclipse at 27° of Aquarius on February 15. Mars in Sagittarius exactly square Neptune are dominating this eclipse pattern. Stay away from those with colds and flu as Mars Neptune can indicate viruses and infections. Keep a check on accepting every invitation; intentions may be honorable but following through on promises can be difficult. Venus in sweet Pisces is seeking harmony and longs to find time for movies and music. With the help of the sextile to Saturn simply put it in the calendar and you are making memories. The solar eclipse in Aquarius more than anything else is about stepping out of the ordinary and claiming your life as authentically yours. Freeing self from out dated obligations to reaffirm the essence of what your soul incarnated to experience is the opening we have during this time. The planets are continuing to be direct all month. In march we begin with the initial retrograde that will culminate this July August with 6 planets retro. Make us of this month to push ahead with projects and know that a time is coming to slow down and work on the details. There is a notable amount of planetary mischief, including several squares with Jupiter that can bring hindrances to expansion and optimism and stressful over-commitments. Remember that the wall of retrograde personal planet that starts around March 8 will bring slowdowns, delays, revision, shifts, cancellations, and likely for much of the time, a softening of ambitions. Take advantage of the open energies in February before the tide starts to turn in. But since there is so much more potential for over-commitment and over-promising, much careful consideration has to be made before putting forth major efforts. Listen to your intuition on what and where to put your effort. The moon, Mercury and Sun enter into Pisces from the 16th forward, following the lead of Venus. We move away from the mental focus of the Aquarian energies and into the soft, feeling energies of Pisces. Abstract, intuitive, artistic, poetic, compassionate expressions are well-favored at this time. February 3 — Mercury in Aquarius Sextile Mars in Sagittarius — Good vibes are easy flowing now as two very ‘easy-going’ signs get together in a great aspect. This time is great for dreaming big and for expressing ideas in a big way. February 3-4 — Venus in Aquarius Square Jupiter in Scorpio — Freedom and commitment may come into conflict at this time. This aspect can also bring other challenges to love, money, or expression. It is important to note as we have this square of Venus to Jupiter, followed by a Sun and then Mercury square to Jupiter, that even though all squares can bring discomfort or blocks, of all the outer planets to have a challenging aspect with, Jupiter is the one that tends to make the best of challenges and the difficult aspects with this ‘Great Benefic’ tend to be softer than with other outer planets. This often makes the challenges that come easier to push through. It is common with squares to Jupiter that motivation or follow through can be challenged or lacking so look out for this theme especially in the first half of February. February 6 — Venus in Aquarius Sextile Uranus in Aries — this aspect can bring boosts to your social life, love life, finances, and artistic expression. It is a great aspect for making money decisions or launching something new in love or business. February 10 — Sun in Aquarius Square Jupiter in Scorpio — this transit comes with a tendency to overdo. It can sometimes bring displays of ego and self-righteousness. The best advice for this time is to be conservative with your commitments and expression. February 13 — Mercury in Aquarius Square Jupiter in Scorpio — these energies combined can bring difficulty in concentration, which is even more challenging because it is a time to focus on small details that need concentration and that can be annoying and stressful when trying to move forward with a big vision. It could also come with a tendency to overestimate your capacity to follow through with something you are promising. Try to adjust your commitments at this time to focus on under-promising leaving more likely the chance that you will over-deliver instead of the reverse. February 13 — Sun in Aquarius Sextile Uranus in Aries — Progressive solutions, internet-based projects, and community-minded plans can come about or move forward beautifully at this time. Group or team focus expands in wonderful ways. 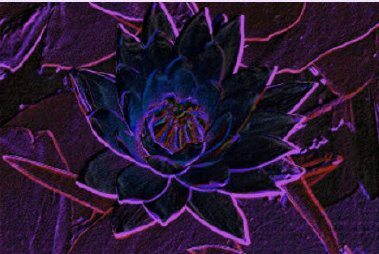 February 15 — New Moon in Aquarius at 27° of Aquarius/Solar Eclipse — Radical new directions open up from the eclipse. Mars square Neptune opening the channels to creative energy. Mercury in Aquarius Sextile Uranus in Aries can enhance communication and expression and find futuristic resolutions to old problems and Venus in Pisces Sextile Saturn in Sagittarius bring abstract ideas into form in wonderful ways. February 17 — Sun in Aquarius Conjunct Mercury in Aquarius — mental powers expand at this time. Anything requiring intellectualizing flows well. Community-based projects can get a boost and anything involving social media or the internet also gets extra energy. February 21 — Venus in Pisces Conjunct Neptune in Pisces — Boundaries blur during this transit. Romance can flourish at this time. Emotional spending is more likely but could be worthwhile if you feel clear enough to make good decisions and can afford the expenditure. This is also a great transit for artists and art-related projects. February 25 — Venus in Pisces Square Mars in Sagittarius — Emotional longing may be met with emotionless and detached reflections. This is a good time to remember that the only constant we can completely trust is our connection with Spirit and not the fickleness of the material realms. 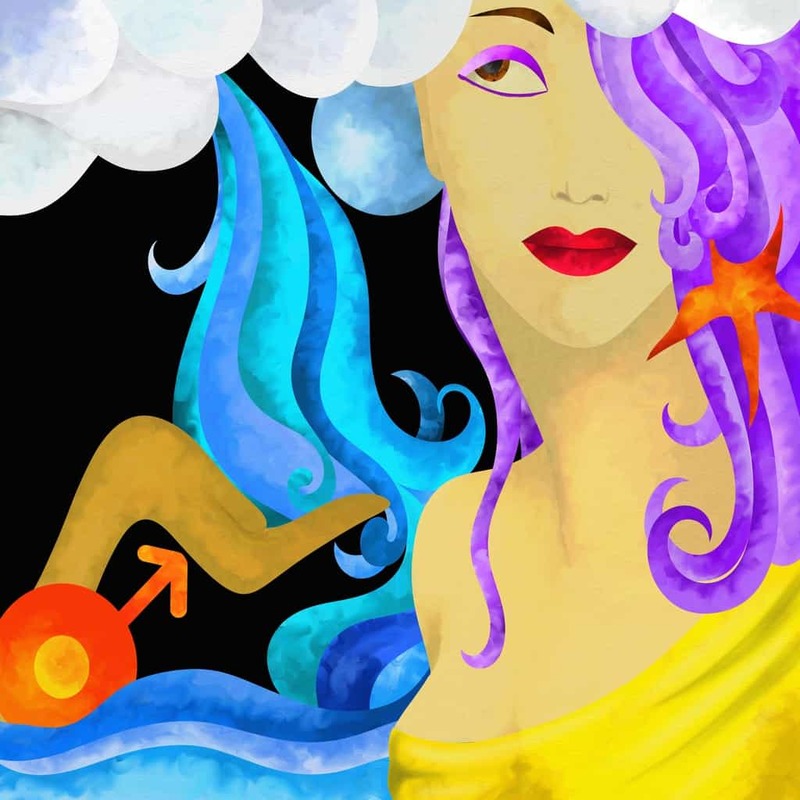 February 25 — Mercury in Pisces Conjunct Neptune in Pisces — this combination can be amazing for romance and awesome emotional connections. Alternatively, (and especially considering the Venus/Mars Square that is also today) confusion or deception can be brought into communication. Tune in and trust gut feelings in deeper ways. February 25 — Sun in Pisces Sextile Saturn in Capricorn — Abstract ideas take shape beautifully at this time. Rough edges are softened with great outcomes. February 27 — Venus in Pisces Sextile Pluto in Capricorn — Artistic flow can receive great support now. Look for ways to bring intuition and practicality together to maximize this transit. February 28 — Mercury in Pisces Square Mars in Sagittarius — be on guard for misunderstandings at this time. Unclear communication can bring challenges and conflicts. It may be hard to express feelings at this time alternatively deadlines could create creative blocks. February 28 — Mercury in Pisces Sextile in Pluto in Capricorn — Compassionate communication can result in great strides at this time. Adding art to function is a great way to use this energy. 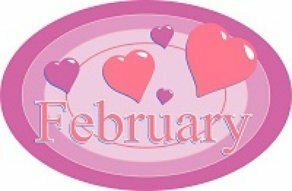 February Astrology 2017 is a packed month of many twists and turns creating the perfect soil to instigate changes. The month begins with Venus entering into her shadow in Pisces, the point from which she will move direct in April. Venus will shift into Aries on the third spend the whole month of February in this special place. What this means is rethinking what brings us love and pleasure in life. February is our Eclipse month, eclipses shake things up so we SEE, so we become more aware and conscious of what we already know. Not the knowing from the outer, but the inner knowing of the heart and the wisdom from our higher self. The Lunar eclipse in on the 10th at 22 degrees of Leo, emphasizing the message of following your heart and your hearts wisdom. This eclipse is a precursor to the nodes of the moon shifting in May when the north node of the moon enters into Leo. There is a harmony showering down from the universe prodding us to find internal and external harmony in our personal world. The message is to enjoy the small pleasures of life. Mercury is flying through the zodiac this month, starting its journey in Capricorn, running through Aquarius from the 7th to the 24th then entering into the land of Pisces on the 25th. This suggest that we will go through many ideas and change of thoughts this month. Communication can come flying to us at every angle wanting response. Everything from planning, work related projects, communication with friends and acquaintances, and conversations that expand the mind and give fodder to creative ideas. The solar eclipse on the 26th is at 8 degrees of Pisces, the last of the Virgo Pisces eclipse pattern we have been experiencing for the previous 18 months. The solar new moon eclipse is an explosive eclipse that can rattle the inner warrior to come alive. The energy of the solar eclipse awakens the spiritual warrior within to take a stand for what you believe in and be willing to fight for the underdog. The sun and moon are conjunct Neptune either pulling one down into self-illusion and putting ones head in the sand regarding problems that appear overwhelming or stepping up and committing to a higher purpose regardless of the personal cost of time and effort. Issues across the globe can arise where the strong and able are asked to help the downtrodden and helpless. This energy also is a not so gently reminder to give up the “woe is me” and move past the hurts and wounds suffered along your path in life. A great healing energy is being channeled at this time with Uranus Jupiter and Mars aligned. The portal of expanding healing at lightning speed, miracles is happening on the new moon solar eclipse. It will be a time that the healing arts, such as reiki and other hands on or off healing is very effective. Wishing you a month filled with heart centered joy and peace. The messages this month from the cosmos deal deeply with the matters of the heart and caring for the betterment for humanity. 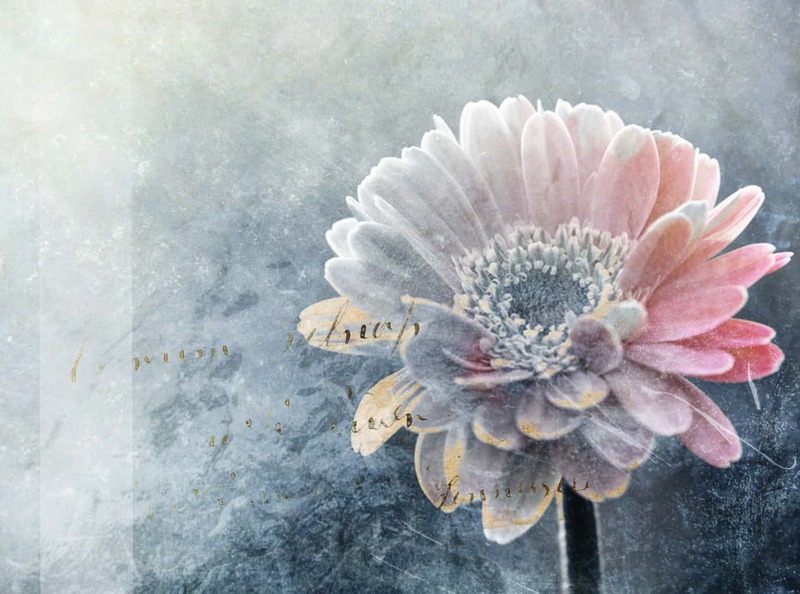 Venus conjoins Pluto in the first week of February, a yearly event of import as this is the time of connecting what we love and value with what we are passionate about. Venus with Pluto in a personal chart can be challenging, as there is a deep inner desire for a profound intimate relationship. One seeks it first from another person, seeking ones soul mate. Yet ultimately the relationship of inner depth is found within oneself, whole and complete immersion and trust. Therefore this new beginning is a new start for love of self, as the conjunction happens in Capricorn the key to self love and awareness is through self respect and appropriate boundaries. Initially it may feel tough or hard, especially for others around you that have their own expectations of the relationship with you. However with love and empathy relationships transform that support each others path towards fulfillment. The new moon in Aquarius on February 8th is super charged with electrical current to catapult us to think different, and once again it is pointing having healthy relationships. Venus, on the day of the new moon, is at the same degree as the previous new moon in Capricorn, which coincidentally, (if coincidence it is) is on the node of Pluto reverberating the theme of Venus conjunct Pluto in Capricorn. New beginnings in relationships, personal and professional, that are founded on core values and include respect and healthy boundaries. Mars is connected with the Aquarius new moon, pushing one to stop procrastinating, get off the couch, and get things done. This is an action oriented time move beyond thinking and into doing. 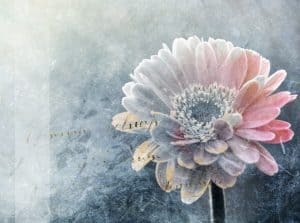 Granted the Aquarius new moon has a plethora of ideas and concepts, and will serve you well to meditate and allow for an incredible influx of solutions to any complex situation that begs to be resolved. Yet the Mars in Scorpio square the Sun/Moon will act as a restless friend who has run out of patients and pulls at your arm to get a move on. You may experience this as an inner feeling of not wanting to expend the energy verses knowing nothing will change unless you do something different. Late Saturday February the 13th Mercury will pass its shadow of its last retrograde. Issues from January find resolutions now. When the sun slips into Pisces on the 19th and the moon is waxing towards full, emotions run deep. The full moon is exact on the 22nd at 1:20p, (EST) in Virgo. It is a good time to reevaluate how well your spiritual life is balanced with the life that happens to take care of your day to day responsibilities. This full moon incorporates the essence of compassion and service, to self, family, humanity and the world. Make a commitment to do whatever you can, however small or grand that is of service to others and commitment to your souls path towards enlightenment. The month closes out on the 28th with a Sun Neptune conjunction, a dreamy vibration. What is your perfect life? What would you do? How would it look like? These are a few of the questions that Sun Neptune conjunction considers. A deeper level of Sun and Neptune together in Pisces is the immersion with cosmic consciousness. Mystics who speak of enlightened states of being share an experience of oneness. 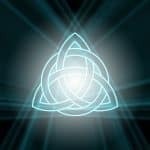 The sun Neptune in Pisces is a day very conducive to go deep into a mediation experience and emerge with a heart filled with compassion, knowing the interconnectedness of all. Sending love and light for a beautiful heart filled month. 2015 We step into February with a conjunction between Venus and Neptune in Pisces, along with the asteroids Psyche and Eros, and Mars conjunct Chiron. A wave of clearing out old wounds, especially around lost love or any psychic wounds from a disappointment in not having something in your life that was near and dear to your heart. The full moon in Leo is on February 3th at 6:09 pm EST. Uranus is with the south node of the moon and square Pluto. Even with the Moon with Jupiter in fun loving playful Leo there continues to be a deep rumbling from the inner core that urges freedom with the undercurrent of Uranus conjunct the south node. Mercury continues its inward journey of rethinking and contemplation until February 11 when it moves direct at 1 degree of Aquarius. There is a second new moon in Aquarius on the 18th at 29 degrees, just minutes before the Sun and Moon shift into Pisces. This double new moon in Aquarius, the first being at 0 degrees of Aquarius in January, emphasizes the importance to get it right and get it handled around the concerns that Aquarius carries. What is right for the collective whole? Shifting from the perspective of individual to a collective perspective of taking care of everyone is part of the unfolding. Connecting with friends that allow your own unique characteristics while being supportive is part of this message. Mars shifts into Aries on the 19th with Venus stepping in right behind Mars on the 20th. While Mars is in Aries, in its ruler ship, chanting to get off the couch and get things done. Venus in Aries is a forceful placement for her. Going after what one wants regardless of the consequences will feel right, and sometimes we need the courage that Venus in Aries brings us to push us outside of our comfort zone to take a chance. Venus and Mars are conjunct in Aries on the 22nd beginning a new cycle for love and romance. With the new Mars/Venus cycle in Aries, it is a time to set some goals on what you want to go after that you want and love. This will be the first of three Mars Venus conjunctions this year. The first at 1 degree Aries, the second in September at 14 degrees of Leo and the third at 24 degrees of Virgo in November. In essence there are 3 time distinct times from which to focus your intent on what is important to you to have in your life. The first conjunction in Aries will help you get started, and gather courage to take a risk. The second in Leo is to open your heart to give and receive love. The third in Virgo is to take practical steps towards embracing and cultivating what is near and dear to your heart. 1.) Balance the mind and emotions. – Listen to your higher consciousness, the wisdom that is streaming in, and your emotional needs will be balanced. 2.) Find time to play, open your heart to joy and happiness. 3.) Acknowledge and let go of old wounds, especially those that were no fault of your own. 4.) Meditate on your highest greatest good, fill your heart chakra with luminous light and a silver chord of grounding from the base of your spine to the top of your head and beyond, channeling in cosmic awareness and all that you need to know. 5.) Listen to your mind and heart; distinguish the difference between an emotional drama, and true intuition. 6.) Honor your friends with universal love and nonjudgmental acceptance. changes. Honor the changes that further your path. The new moon today in Aquarius is minutes before the Sun enters into Pisces. This is the second new moon in Aquarius and the second chance to align with the universe the gifts of Aquarius to manifest them in your life: friendships, connections, humanitarian principles of a better world for all. This new moon is caught mid way between Uranus and Pluto creating a complex vibration. The saying caught between a rock and a hard place comes to mind. Where in your life do you feel stuck between the desire to break free to live a life you feel is an authentic expression of your soul’s intention and circumstances that appear to be in your way, or are controlling your choices in some way? The resolution comes by being true to your principles while knowing that happiness is a choice and joy can be found in even the simplest of pleasures. The Venus and Mars are traveling close together in Pisces emphasizing the essence of compassion and caring actions. The depths of unconditional love and compassion can be tested as outside situations try ones patience. Mars, the planet of doing, motivation and action, is at the same degree that the next new moon, (Solar Eclipse) will be. This suggest that the effort, thoughts, and intentions you put forth during this new moon will manifest in the following month. This is a strong time to remember to be careful what you ask for, think about, send out to the universe, as it will hear your request and send it back to you. The first new moon in Aquarius is at 0 degrees, just a few short hours after the Sun made its yearly entry into the sign. Tomorrow Mercury shifts retrograde in Aquarius and will travel back to the degree of the new moon. What comes into your life today and tomorrow can take a few weeks to unfold. 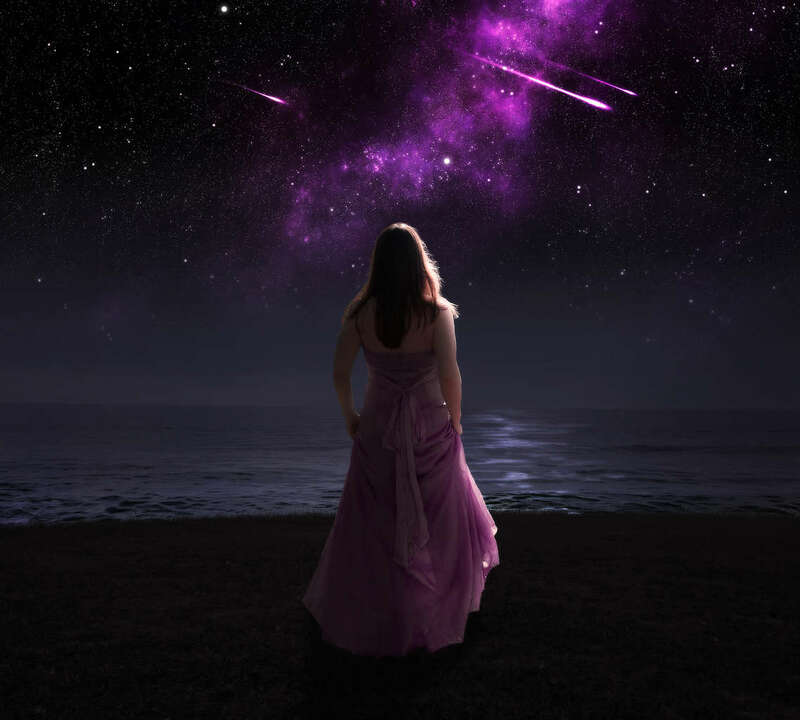 In fact if you take a few moments to laser point your mental and emotional body to send out a vision for your future, then when Mercury moves direct at the point of this new moon on February 11th it will bring you the insight and knowledge you need to move your vision forward. We have just experience a Mars/Neptune conjunction, a cycle that occurs about every 2 years. If you are feeling a bit uncertain over your life direction this is understandable with this energy floating around. The purpose is to stay in the possibilities while allowing for the vision to come into focus. How best to connect with the planetary energies to help you. 1) Settle your mind and connect with universal source. 6) Read a book that is on the cutting edge of new thinking. 7) Connect with an organization that you can add your contribution. 9) Immerse yourself in an artistic endeavor from another culture. Welcome to this astrology website. If you would like to learn more about astrology to interpret your chart first begin by requestion your free chart. Follow the astrology forecasts and know which astrology transits are happening for you now. To learn astrology you do need patience, but it is well worth the effort.